We all make mistakes everyday. However, when it comes to our wedding day, we do our best to make everything perfect. For a bride, buying a wedding dress is a major task and you should really pay attention to it. 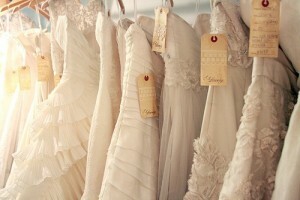 We will share 3 wedding dress regrets from the real brides to help you do not make the same mistakes as them. “Instead of texting my bridesmaid a pic of my fave dresses, I have sent that pic to the wrong person, to my future husband.” Be careful who you are texting! When choosing a dress, well when planning your wedding day in general, you will be under pressure, so mistakes of that kind are more likely to happen than in regular circumstances. “I wanted to save money, so I ordered my wedding gown online. The gown came in right on time, but it was huge. I had to pay for alterations, so now it costs more than it would have if I had bought it in the bridal store nearby.” This happens often. When buying anything online, you should be careful. Check out whether the seller have a good money return policy and make sure you will get your dress on time (either to return it and buy another in a local store or to ask them to send you an appropriate size etc.). In general, it is better to look for stylish wedding dresses in Essex, if you live in Essex for example than to order your gown online. However, online shopping can be very convenient and joyful experience if you do it properly. “Just for fun I tried on Vera Wang dress and I fell in love with it. I was unsatisfied with all the other dresses after that. Do not try on wedding dress that is not affordable to you.” We all want to look as a princess, but even a cheap wedding dress can look lovely – if you do not have to which to compare.